It's so fun and easy to add color to your bath! These tablets fizz and release color when placed in water. Designed for bath use, they are completely safe and non-toxic. 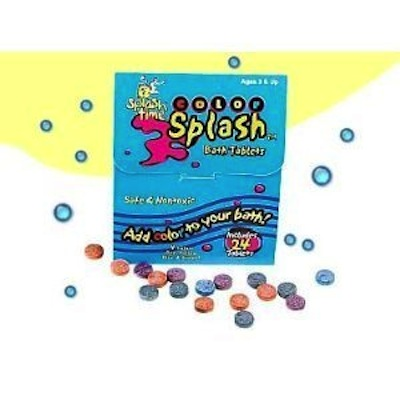 Can be used alone, or purchased as refill tablets for your Splash Time brand bath toys (Hydroliner, Star Water Wand, Color Lab Mixer). Each individual packet contains 24 assorted color fizzy tablets.